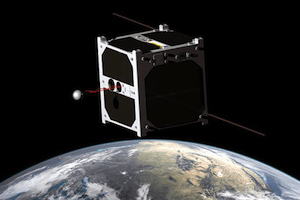 ESTCube-1 is the first Estonian satellite and it is being built in Estonia by students from Tartu University, Estonian Aviation Academy, Tallinn University of Technology and University of Life Sciences. The project started in 2008 and is currently being assembled and tested. 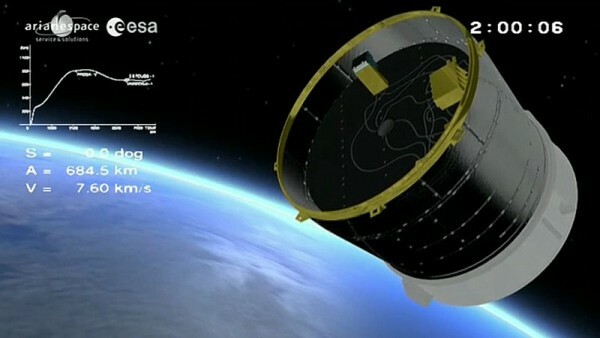 The satellite will be launched in April 2013. 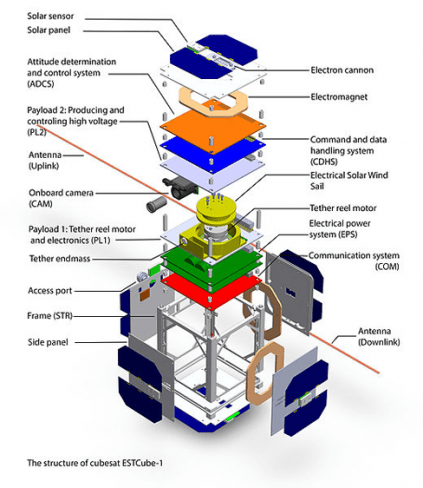 The satellite’s payload has been developed in conjunction with Finnish Meteorological Institute and German Space Center (DLR). 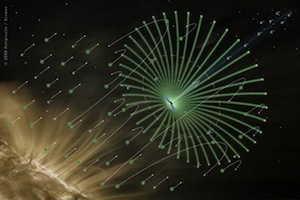 The main mission of the satellite is to test the electric solar wind sail, a novel space propulsion technology that could revolutionalize transportation within the solar system. As Estonia’s first satellite, the project will also be used to build Estonian infrastructure for future space projects and to educate space engineers. The technology is based on the electrostatic interaction between the electric field generated by the satellite and the high-speed particles being ejected from the Sun. The spacecraft utilizing this method would first deploy a set of electrically charged wires, which allow to generate an electric field over a large area. This area effectively forms a “sail” that can be pushed by the charged particles by being diverted by it and therefore transferring momentum to the craft. A 1000 kg satellite would contain a 100 kg electric sail module that could deploy 100 tethers, each with the length of 20 km. Overall this would result in a net thrust of 1 N. This force might seem small, but this can be applied to the satellite over its entire lifetime using only the energy generated by satellite’s solar arrays. During one year this could increase the velocity of the craft by 30 km/s. The technology would make it possible to travel in the Solar system cheaply and fast, allowing asteroid mining, landing missions to Mercury and transferring data by “data clippers”. Carrier rocket takes the satellite into orbit and deploys it. 5 minutes after deployment the satellite starts up and starts preliminary system checks to determine the integrity of the satellite’s hardware. 30 minutes after deployment the radio antennas of the satellite will be deployed and communications with the Earth will be made possible. 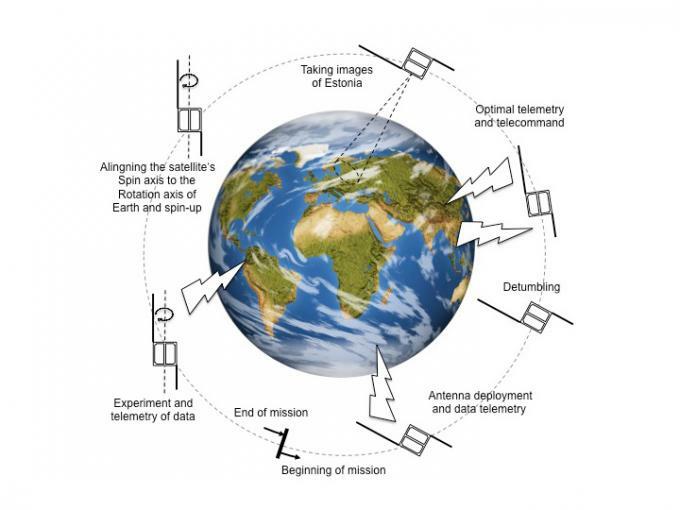 The satellite will turn on all of its subsystems and will stay in standby for commands from the groundstation. Satellite’s rotation will be stabilized and first camera pictures will be taken. The main mission will start: the coils within the satellite will be used to spin it up and the tether deployment starts. Tether deployment ends, the tether will be electrified and measurements will start. The satellite will keep sending telemetry for confirming the E-sail effect. When sending beacon data, please replace lost symbols with character “#”. Feel free to use space characters convenience when entering the beacon string. If the time moment of beacon start or end is recorded, then even a partial beacon info is useful. Partial info should contain either beginning or end of the beacon message. Follow the link and download the gr-ec source and compile it as mentioned on the page. After that create the following GNU radio blocks to decode the data from ESTCube-1. This setup can also be used by other AX25 signals.